Check out the photograph above. This was taken while traveling in a car. 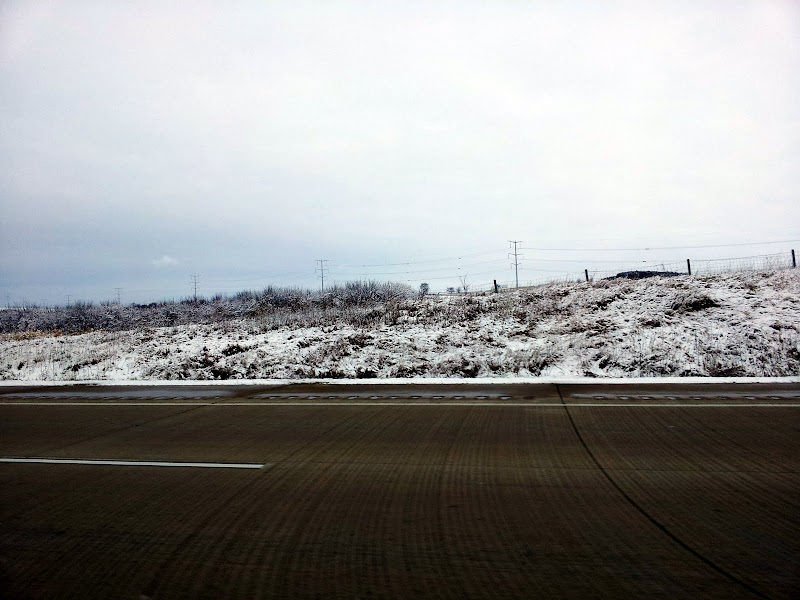 Of particular focus are the lines on the road - they are actually straight, but show up as curved in the photograph. When cameras were first added to cell phones, they were small, slow and blurry. The sensors were tiny, the lenses were basically plastic and the processors were slow. While the megapixel count has gone up, the optics have gotten better, the biggest bottleneck still remains the processing speed. At least the Android platform has taken an interesting approach to overcoming this processing speed bottleneck. It seems the sensor is read in sequence, line by line, starting from the top. The advantage with the approach is obvious - the camera can process one line at a time, keeping the picture sharp and well processed. The side effect is the effect showing up in the picture above. The straight lines on the road, show up as curved because the car moved in the time between when the first line of the sensor was read and the last. At long last, my Nokia 5800 has been retired from active service. 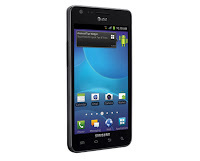 It has been replaced by my new Samsung Galaxy SII. And all this happened within a matter of a few hours. While this was about $50 more than the Black Friday deal from Radioshack, it was still a full $100 less than the discounted price on AT&T's website. And it hit my key checklist items. 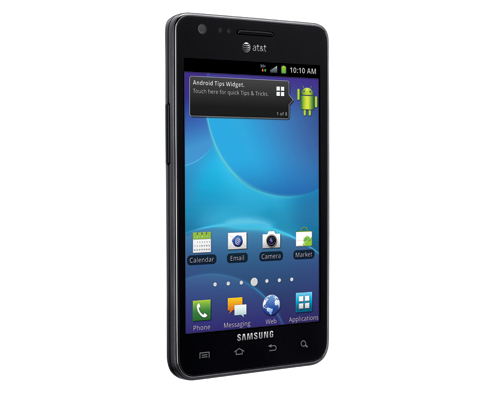 A tried and tested phone chassis - the Galaxy S II is the second in the highly successful Galaxy series. Minimal UI customization - unlike the HTC Sense UI, TouchWiz UI is relatively lightweight and optimized for speed. A known upgrade path to Ice Cream Sandwich. No known carrier hindrances to phone capabilities. 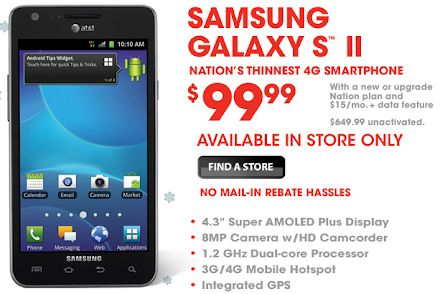 The Galaxy SII hit all points on the checklist - making the decision to switch surprisingly quick and painless. And RadioShack was not that bad an experience, as far as the tactical switch went. On a side note, I need to remind myself that RadioShack is probably a better option for buying electronics when I want something outside the standard mainstream products. RIP: my ageing Nokia 5800 - you were a trailblazer, and were better than you had any reason to be. Yet, the trail was left cold after you, for no fault of yours. You will be missed. 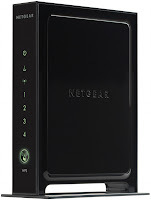 My tablet could not access my ReadyShare NAS that ran on my Netgear 3500L. So far, it seemed as if the problem was with the router and it's implementation of SMB. After much wrangling of hands, cussing of SMB and praising the virtues of hackable gadgets, I decided to change the stock firmware on my router. My Open Router, is a great resource for available after-market firmware. It also has that typical Open Source lack of polish, that makes the process of re-flashing a real journey - filled with uncertainty and trepidation. Here is an example, the initial page for the 3500L has a total of 5 open source options, and the very first article after the review is a “de-bricking” tutorial. If you were not aware, bricking happens when you mess things up so bad, that the only true use of your cuboidal device is to use it as - you guessed it - a brick. The key with open source projects is to just jump in and start reading. Do not try to form an approach - you will mostly be wrong. The most useful nuggets are mostly hidden - like the curiously named Peacock thread, or Redhawk0's firmware recommendation thread. If you were planning on using DD-WRT, you should not be touching the reset button without reading both these threads. 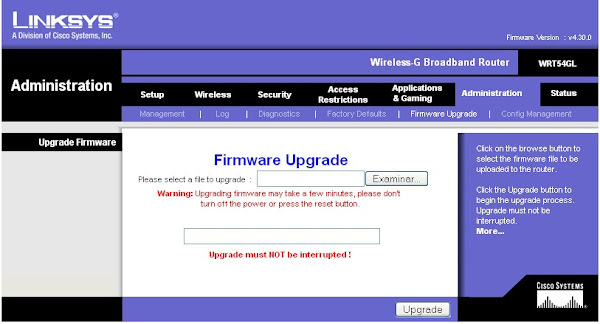 If you do not do a 30-30-30 before and after a firmware upgrade, you could brick your device. There are two kinds of kernels used in firmwares - 2.4 and 2.6, use the wrong one and you could brick your device. There are different types of builds - using a Mega build could brick my particular device. If you try to reboot routers too quickly within the flashing phase, you could brick your router. Trailed builds, are builds specific to a particular router. They do not have all the features or a regular build, but are critical to get off the original stock firmware. Use the wrong trailed build, and you could brick your router. And everything you learnt above had caveats, which could also cause you to brick your router. Anyway, after several days of researching, and figuring out what my priorities were, I decided to skip the DD-WRT in favor of a different sort of firmware called Tomato, and in particular a fork called TomatoUSB, that seemed most appropriate. I still had to upgrade to the DD-WRT trailed build to get off the stock firmware, but that was only a rest-stop on the upgrade path. Next post, doing the actual upgrade. My Thrive had a problem - no, not the earlier one with the cracked screen, but a different sort of a problem. About an year ago, I set up an inexpensive Terabyte RAID accessible on our home wireless network - a free cloud if you please. All my photos are on said cloud, and I had hoped to use my new Thrive to actually browse through and check my photos out in style. Part of the reason to get a tablet, was to consume my own media. Here is where standards were supposed to help. My router was technically capable of sharing the Terabyte via either HTTP, FTP or most importantly SMB (essentially Windows Share). And my Tablet was supposed to be able to browse via SMB. But, try as I might, I just did not seem to work. I tried all the usual suspects ASTRO File Manager, AndSMB Samba Client, File Manager HD and ES File Manager. All of which had rave reviews, all talking about successful connections to other Windows machines. But none of them seemed to work. Out of character for me - I created new accounts on two Thrive Forums, to ask for help - no luck there either. After three days of frustration, I began to realize something. Maybe the problem was not with the Thrive at all. Maybe, the problem was with the router, that was just unable to play nice with all SMB clients, including that on the Thrive. Luckily, here is where my obsession for freedom began to pay off. 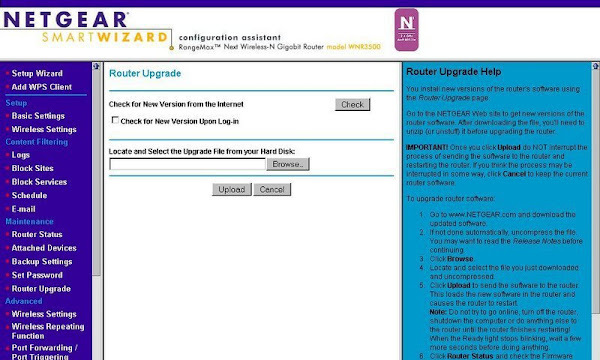 My router is a Netgear 3500L. It is about the closest to a poster child for open hackable routers, that one can buy. A fact that Netgear actually advertises on the flier for the router itself. So I figured I'd flash my router, and hopefully make the newer version of SMB play nice with my Tablet. Whether that worked is another story, but the moral of the current post is this - having freedom is awesome. It opens up possibilities and opportunities. It makes you focus on answers, not problems. And it is green too - who knows, I could have been tempted to buy a new router and chuck this one out, instead of trying to fix it.